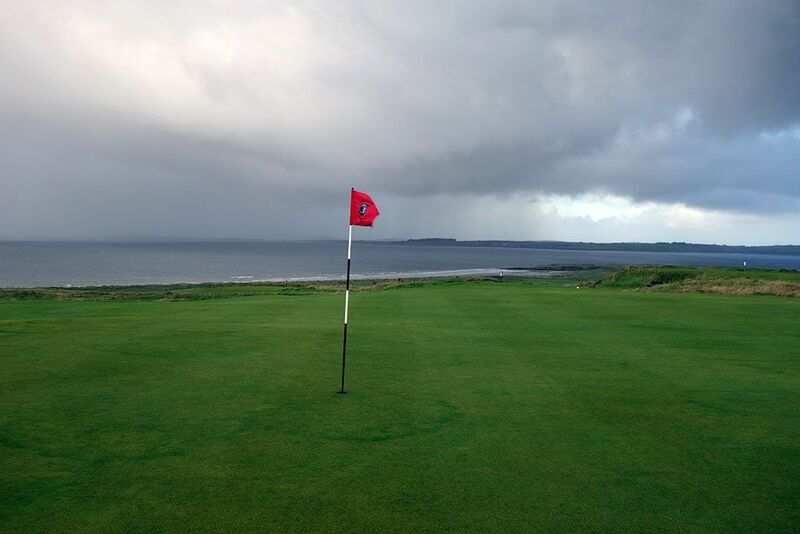 Course Website: Official Website - Visit County Sligo Golf Club aka Rosses Point's official website by clicking on the link provided. Accolades: Ranked 8th in Ireland by Golf Course Gurus. 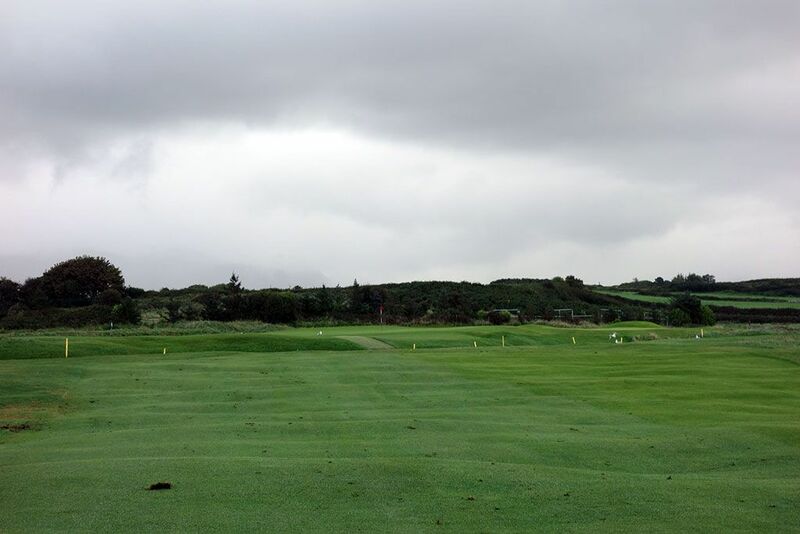 What to Expect: When I pulled into Sligo county late the night before teeing off the next morning, I was expecting to embark on a relatively flat course that might lack the character I like to find in a links. Boy was I wrong! 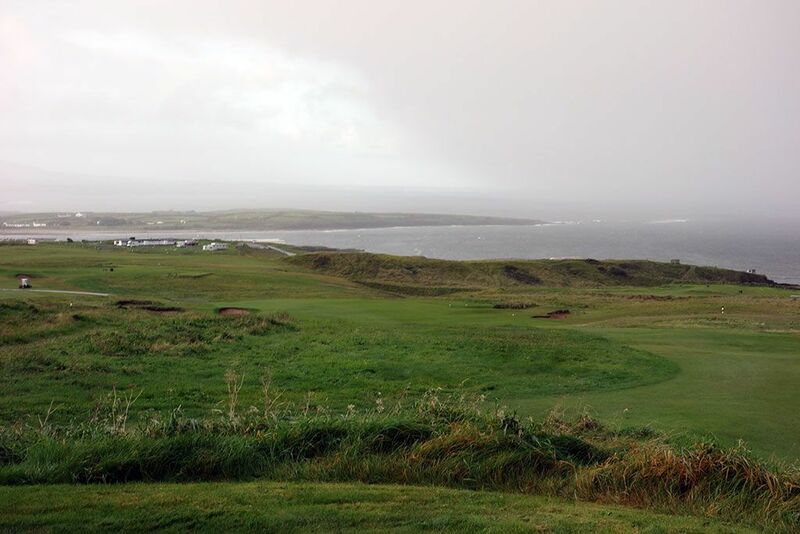 Rosses Point enjoys excellent elevation changes throughout the course with plenty of character in the hole designs. The deep sod stacked bunkers reminded me of something you'd find in Scotland more than in the wild dunes land commonly found in northwest Ireland, but is a nice change of pace. 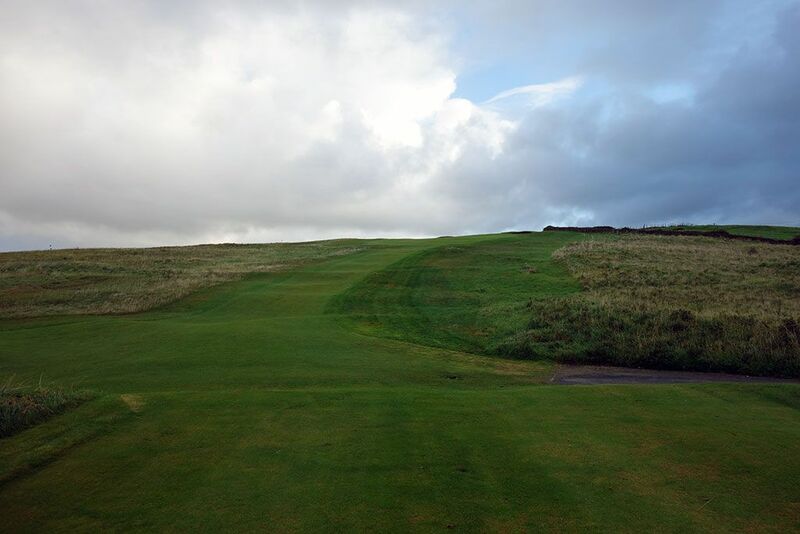 The 2nd hole, a driveable uphill par four, quickly set the tone for the round and stands as one of the most fun holes in Ireland with a greensite that delivers outstanding views of the water and surrounding land from one of the highest points on the course. 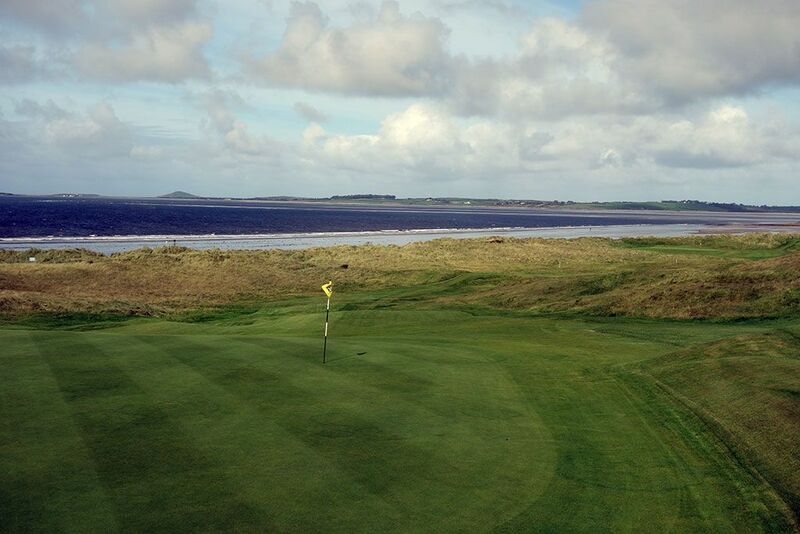 While the back nine may be considered a bit stronger than the front, particularly the final six holes, County Sligo enjoys a nice balance on both nines with a variety of hole lengths and strategies. A creek meanders through part of the property and becomes a factor in the later halves of both nines. Views of the water are afforded on several holes though it only comes into a play a couple of times. Most patrons will walk the course but there are a handful of carts/buggies on hand for those that prefer to ride. 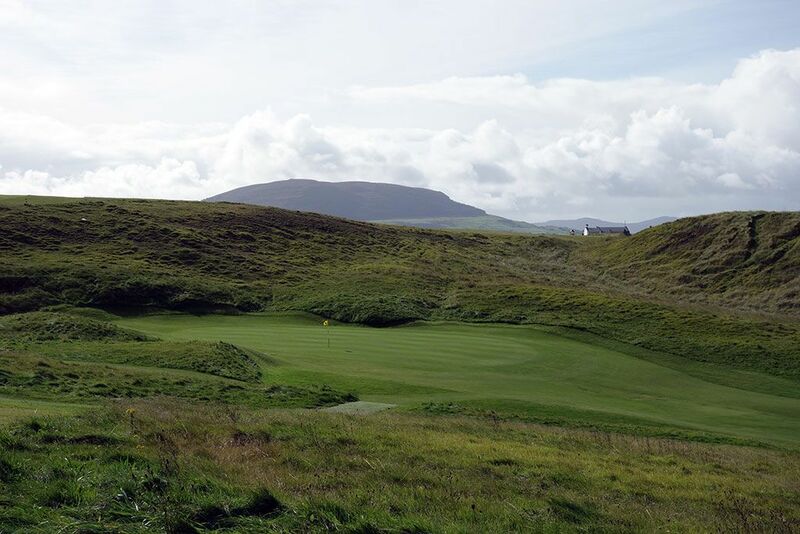 Bottom line, County Sligo is an excellent links course that should encourage more visitors to make the trip to Ireland's northwest; it is well worth it. 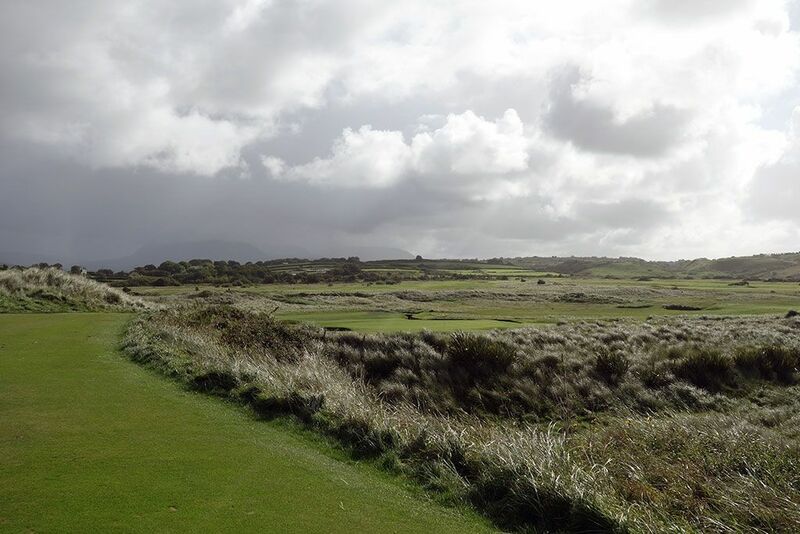 Signature Hole: 17th Hole – 500 Yard Par 4 – County Sligo's signature hole starts by playing parallel to the ocean before doglegging left and climbing uphill to a greensite set at the base of a large dune. Tipping out at 500 yards, the 17th is a very tough green to reach in regulation which can be aided when the wind is coming off the water and is at your back on your approach. 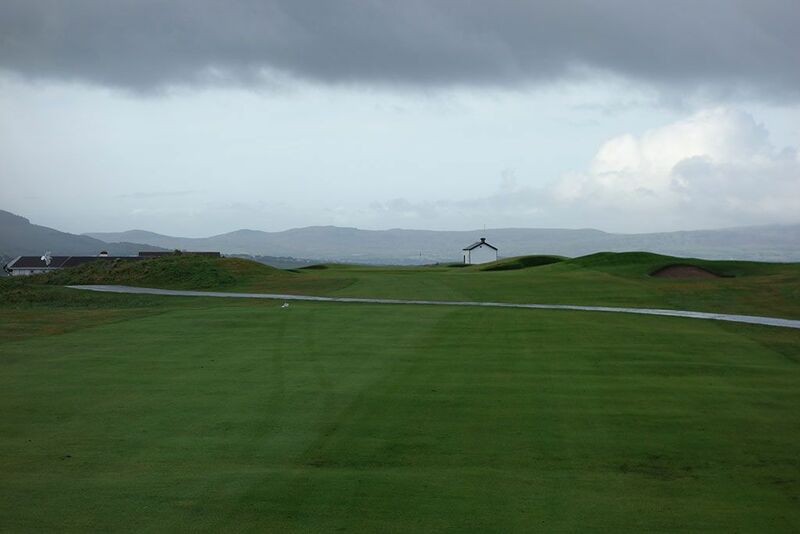 The amphitheater green setting and views looking back from behind the putting surface are some of the finest views at Rosses Point. Best Par 3: 13th Hole – 177 Yards – County Sligo enjoys a sterling collection of par threes with the 13th standing a touch above the rest. With the ocean waves rolling in on your right, the 13th begins a five hole stretch along the coast which creates a scenic setting while playing some very well conceived holes. This one-shotter boasts four bunkers surrounding the front of the green while a creek defends the back. The large putting surface provides a generous target to hit when the wind is up but the subtleties in the green can create some challenging two-putt scenarios. Best Par 4: 14th Hole – 457 Yards – Tom Watson's favorite at Rosses Point, the 14th has more going on than any other hole found at this coastal links. The elevated tee shot plays over a creek to a fairway that is bisected by another creek. Players will have to decide whether driver is enough to tumble into the second hazard crossing and or whether you will have to lay up with a safer club. The approach shot plays slightly back towards the ocean to a green sitting at the base of small dunes that separate the putting green from the Atlantic. Best Par 5: 3rd Hole – 591 Yards – From the highest point on the course, the downhill tee shot at the 3rd hole provides a panoramic view of the hole, ocean, and surrounding countryside. This sweeping dogleg left drops nearly 60 feet from tee to green and features a break in the fairway 175 yards from the green while a service road crosses 45 yards from the putting surface. Nine bunkers come into play during your descent with a half dozen of them peppering the landing area for drives while the other trio protect the green. 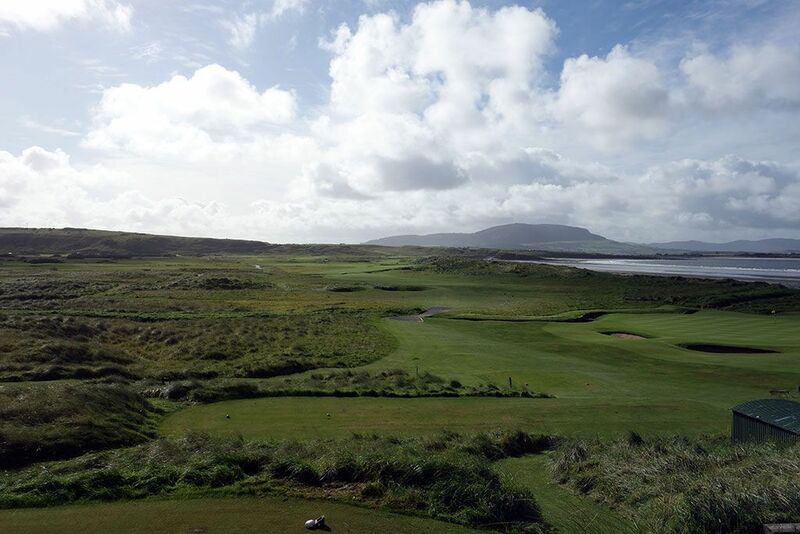 By the time you've played the third hole you'll be convinced of County Sligo's impressive topography. Birdie Time: 2nd Hole – 330 Yard Par 4 – Harry Colt generously gives players a chance to get under par early in the round and build their confidence before tackling the much more difficult holes ahead. At just 330 yards from the back tee, a big drive can reach this green particularly if a tail wind off the ocean is helping out. The ascent to this green brings you near the highest point on the course and affords staggering views of the golf course and nearby ocean. A trio of bunkers protects the green of this slight dogleg right while the 60 foot rise to the putting surface results in a mostly blind look at the green from the tee. 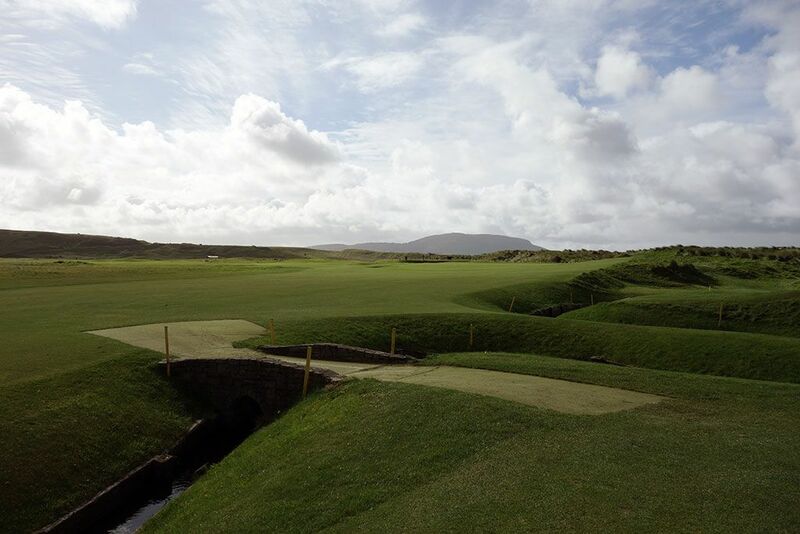 This is just a fun hole to play and one of my favorites at Rosses Point. Bogey Beware: 7th Hole – 414 Yard Par 4 – With the Atlantic to their back, players are faced with a difficult hole and perhaps the toughest approach shot on the course. The straightaway tee shot plays to a fairway guarded by three bunkers before setting up the approach shot to a putting surface completely fronted by a creek. Players hoping to find safety by playing long on their approach need to be careful they don't find one of the two bunkers ready to devour their Pro V1s. On a calm day the whole is less intimidating, but on a breezy one the creek will almost surely drown at least one player's ball in your foursome.